Mix flour and salt, make well in centre and add yeasted water. Add herbs and drop of olive oil. Mix together. Add remainder of water. Are you in a cooking mood? Or just getting someone else to cook mood? A bought some bread the other day with black olives in, very yummy – I’ve not made bread for a while, we don’t eat as much in summer. More of a winter thing, like baked beans. 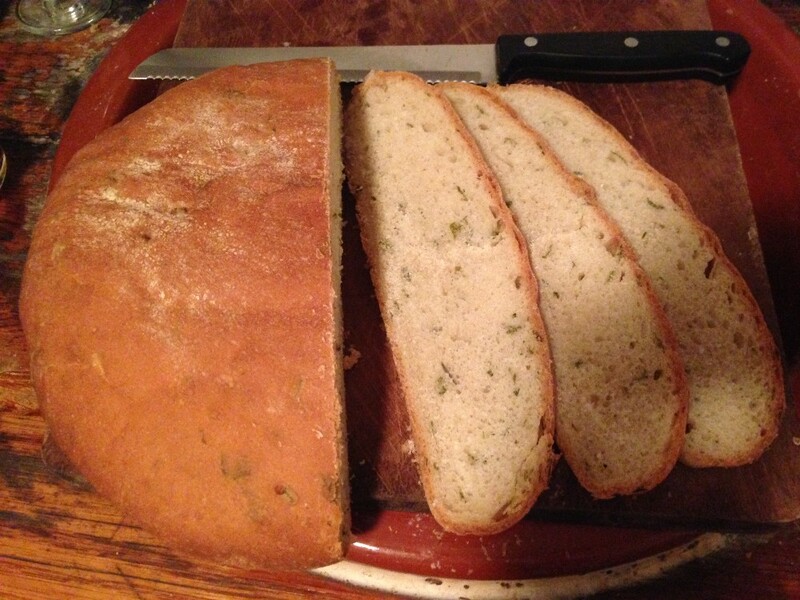 Herb breads are great though. 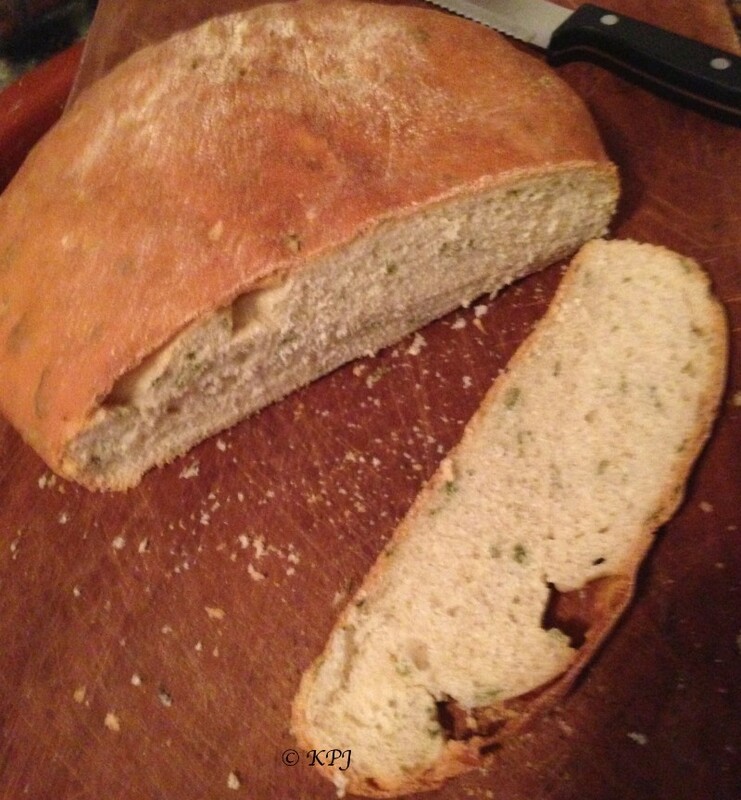 Or make focaccia, pretty similar. No, don’t like the flat bread types. I do like it the way you bake them.